To pay the growers fair prices for their products and in a prompt manner. To pay constant attention to good working conditions for all of our employees. To contribute to the wellbeing of our employees and their families. To support research initiatives and new technological develolopments in our experimental farms. To create a new demostrational farm. To promote sustainabl, environmentally friendly agricultural practices. 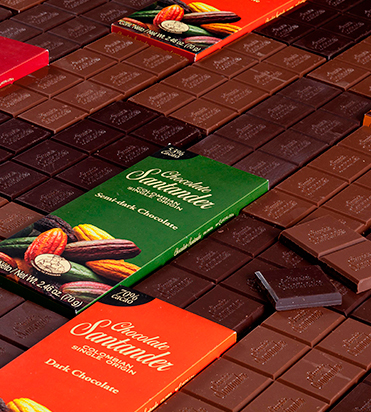 To strengthen the cooperative organizations and associations of producers. 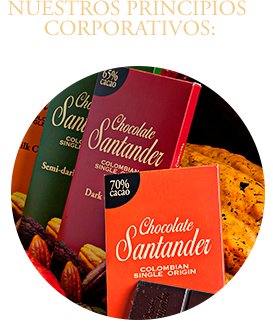 To improve the competitiveness and profitability of farmers, focusing on the sustainable, environmental management of the cacao plantations. 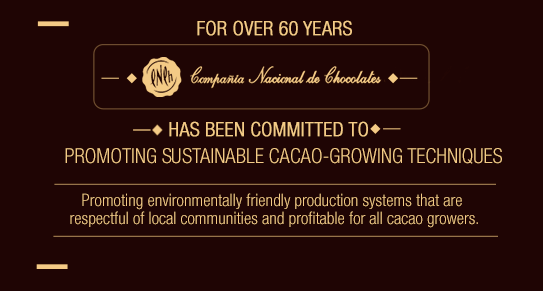 To participate actively in the National Cacao Council, the Sector Policy Committee, and the Technical Committees, where the future of the sector is planned and directed. 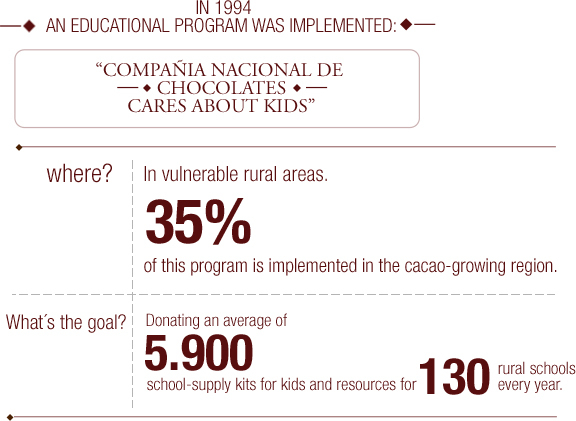 To sponsor educational programs jointly with the Colombian Government.